Our President, Kate Dilks, opened the January meeting by wishing everyone a Happy New Year. There were 55 members and 6 guests, 4 of whom joined at the meeting. The coffee hostesses, Margaret Wilson, Kay Hygate and Mary Wheatley were thanked as was Patricia Robinson for her flower arrangement for the President’s table. 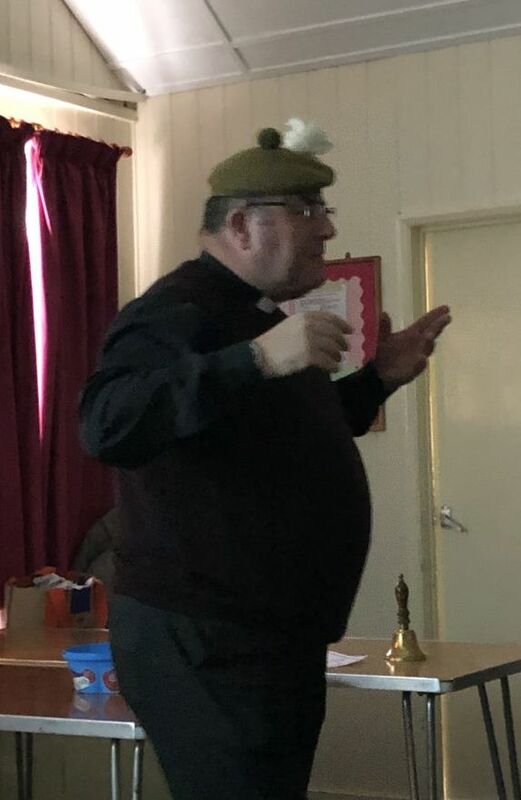 Our speaker was the Rector of St. Peter and St. Paul Saltwood, the Reverend Stephen McCaulay, whose illustrated talk was entitled “Christmas in Afghanistan”.He gave us an overview of life for the soldiers in 2010 and the hardships and dangers they lived with daily before describing Christmas. 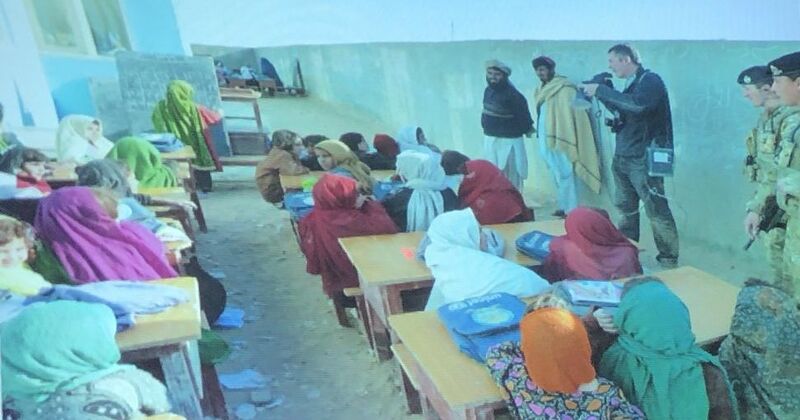 The troops were there to support the Afghan army and police and with the help of the female soldiers they were able to set up schools for the Afghani women and girls. The Rector showed us a small teddy bear called Baxter and told us that all the children of the soldiers were given one. He then showed us this photograph of a life-sized Baxter and said that the costume had taken up most of his kit allowance! 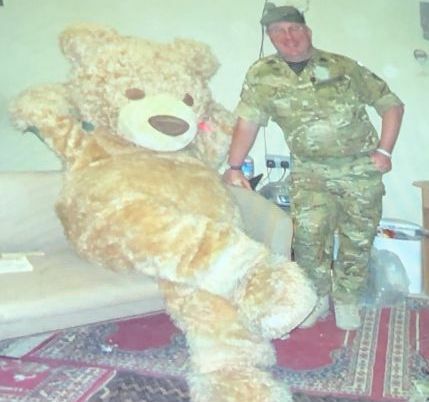 Big Baxter had his photo taken with many of the soldiers in many different situations so that the children could have a connection with their parents while they were away. 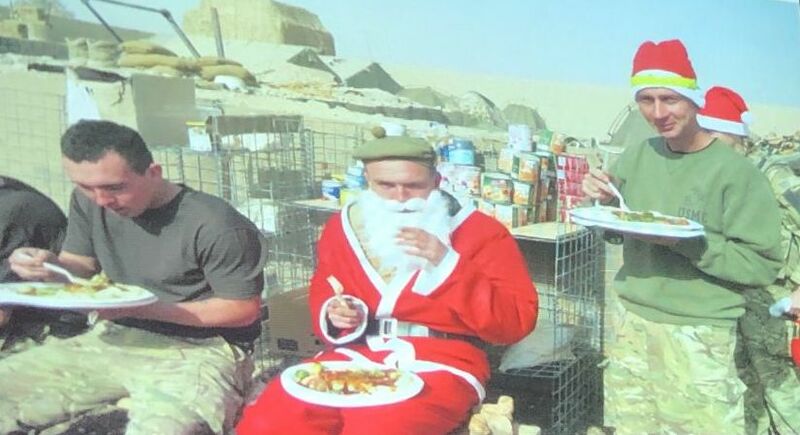 On Christmas Eve the Rector took 14 Carol services and spent Christmas Day delivering Christmas dinners to the troops who were on duty. This involved much travelling around always looking out for mines etc. It was a very enlightening talk. Kate Dilks gave the vote of thanks. Margaret Ritchie won the competition for a flower or foliage.